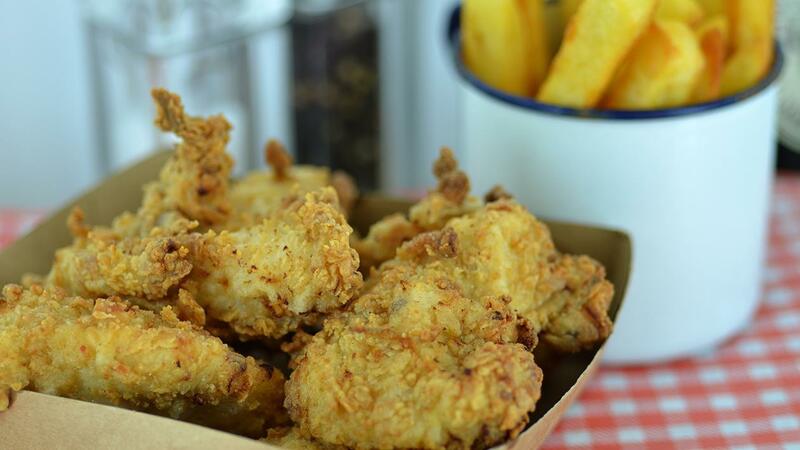 Those chicken strips get their delicious taste from the buttermilk marinade! Put some of Paste in the marinade and serve the chicken with a spiced jerk and honey dip. This chicken recipe also works well as a starter. Preheat a deep fat fryer to 180°C. Mix the KNORR Jerk Paste, buttermilk together then pour over the chicken and make sure it is fully covered. Coat the chicken in flour then deep fry for3-4 minutes or until cooked through and golden. Place the chicken either on a plate or disposable container and serve with the Jerk and honey dip.